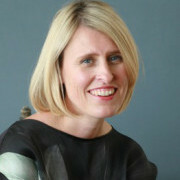 Jessica Hepburn is founder and co-director of Fertility Fest. Over the past few years she has become one of the UK’s leading patient voices on fertility, infertility and assisted conception and is the author of two books The Pursuit of Motherhood (2014) and 21 Miles: Swimming in search of the meaning of motherhood (May 2018). Jessica writes and speaks widely in the press and at public events about fertility. She has been the host of the Q&A stage at the Fertility Show in London and Manchester, at past shows, and has been a trustee of the national charity Fertility Network UK; a patient adviser to the HFEA - the government’s regulator of fertility treatment; and is a member of the Fertility Education Initiative, chaired by Professor Adam Balen. In 2016, following her ten year tenure as Executive Director of the Lyric Theatre Hammersmith she founded Fertility Fest the world's first arts festival dedicated to fertility, infertility, modern families and the science of making babies.